When tracking wild mustangs in Nevada as a boy, Monty Roberts also known as “the man who listens to horses” observed a nonverbal communication between the horses, he discovered a silent language that he later named Equus. 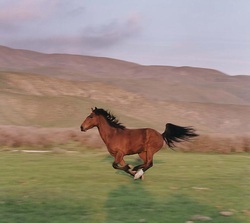 Monty then combined Equus with his nonviolent training approach called Join-Up®. Join-Up® is a non-traumatic, non-violent method, based on the natural language of the horse. It is the foundation for a 50/50 partnership based on trust and confidence in leadership, a relationship in which the horse wants to be part of the team. One of the most important parts of Join-Up® is Equus the language itself. This language is predictable, discernible and effective. A key ingredient to the success of the language of Equus for both horses and humans is the positioning of the body. It is important for us to keep in mind that all the time our body language is sending signals even though we might not be aware of it. Join-Up® is these days is also used a lot outside the horsey world. Companies worldwide, schools, juvenile prisons and psychiatrist are using the working methods of Monty Roberts. Interested to learn more? Have a look at the courses I offer on the following pages.